The Flanders-China Chamber of Commerce organized a roundtable meeting with a high-level delegation from the Weihai Economic and Technological Development Zone on September 21, 2017 at the City Hall in Ghent. Weihai City is a coastal city in Shandong. 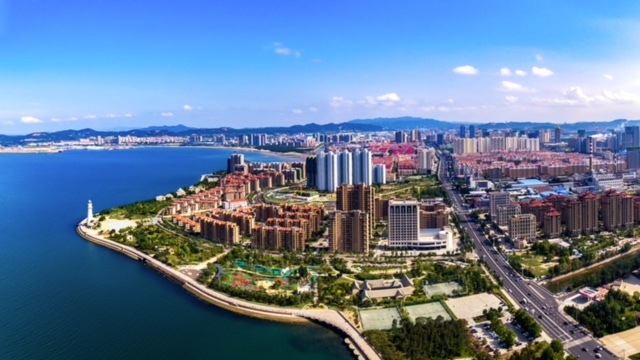 Located south of downtown Weihai, Weihai Economic and Technological Development Zone (Weihai ETDZ) was set up by the State Council in 1992. The pillar industries of Weihai ETDZ are new materials, automobile parts, electronics, pharmaceuticals, textiles, machinery, food processing, ICT and new energy. The emerging industries of the Zone are medical & healthcare, senior care, information & outsourcing and intelligent manufacturing. Representatives from the Weihai Economic and Technological Development Zone offered an insight into the economic environment and main sectors for investing in the Zone. Several of our members already have major investments in Weihai such as Bekaert, Beaulieu Technical Textiles and Beaulieu Fibers & Yarns. Following a word of welcome by Mr Matthias De Clercq, Vice-Mayor of the City of Ghent and Ms Gwenn Sonck, Executive Director of the Flanders-China Chamber of Commerce, a member of the Weihai delegation introduced the advantages of investing in Weihai Economic and Technological Development Zone and the Weihai Software and Outsourcing Industrial Park and International Medical and Healthcare Park. Mr Zhu Hongzhen, Customer Excellence Change Agent RR Global, Bekaert, and Mrs Karena Cancilleri,Vice President Beaulieu Engineered Products and Member of Beaulieu’s Executive Committee, gave a presentation on the experiences of investing in Weihai. A question and answer session and a networking reception concluded the event. China has launched a four-month campaign to protect the intellectual property rights (IPRs) of foreign businesses, a move that may alleviate a major concern among foreign investors and appease Washington ahead of U.S. President Donald Trump’s visit to Beijing in November. The Trump administration last month officially launched a probe into alleged Chinese intellectual property theft and the findings could lead to the U.S. imposing tariffs on Chinese products – potentially triggering a trade war between the economies. Steve Bannon, the former White House Chief Strategist, told the South China Morning Post in an interview in Hong Kong that Washington would release the results of the probe before a Sino-U.S. summit in Beijing so both sides can reset trade with “a whole series of negotiations”. It is the first time the Chinese government has started a nationwide campaign to protect foreign businesses’ intellectual property. The drive, which runs from this month to the end of December, is designed to “create a level playground”, protect investors’ legitimate interests and “further increase foreign investment”, according to the Ministry of Commerce (MOFCOM). In addition to MOFCOM, another 12 Chinese government and judicial bodies, including the Ministry of Public Security and the Supreme Court, are taking part in the campaign to crack down on the theft of trade secrets, trademark infringement, patent violations and online property rights violations. Each government department has been assigned its respective focus. The State Administration of Industry and Commerce is leading the efforts to protect foreign trademarks, while prosecutors give special attention to investigate any corruption or neglect of duty involved in intellectual property violations. 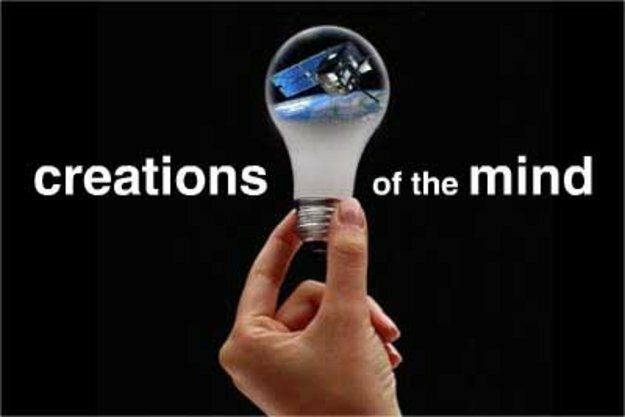 Some foreign hi-tech investors are wary of investing in China due to intellectual property rights issues. Foreign direct investment (FDI) in China dropped 6.5% from a year earlier to USD72.1 billion in the first seven months of this year, the South China Morning Post reports. 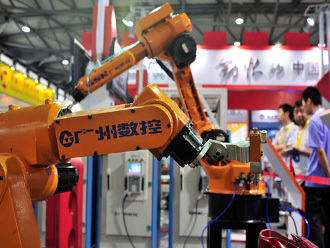 China’s National Development and Reform Commission (NDRC), the country’s economic planning agency, said last week that the economy was under control and China’s 6.9% growth in the first half was of higher quality and efficiency. The economy was balancing out, with services and domestic demand taking over some of the growth slack from industrial production and exports, the NDRC added. But just hours later S&P Global Ratings downgraded China’s sovereign rating for the first time since 1999 – from AA- to A+ – citing the country’s greater economic and financial risks. After “a prolonged period of strong credit growth”, S&P said, China’s credit growth in the next two to three years “will remain at levels that will increase financial risks gradually”. The Ministry of Finance promptly accused S&P of misreading China and ignoring its sound fundamentals and growth potential. The contrast reignited debate over the fundamentals of China’s future – whether the country is leaping over the middle-income trap with a leaner and more sustainable growth model or whether it is on a debt-fueled path to disaster. The clash of opinions could not have come at a worse time for the leadership in Beijing. The country’s political elite has been trying to paint a rosy picture of the economy ahead of next month’s five-yearly Communist Party Congress, putting the stock market rout and exodus of funds behind them. Much of the dispute centers on whether China’s 6.9% growth this year – lifted by property and exports – means the country has entered a new boom cycle, the South China Morning Post reports. The European Union Chamber of Commerce in China last week released its European Business in China – Position Paper 2017/2018 (Position Paper) in which it calls on the Chinese leadership to follow through on the public commitments it has made to economic globalization and openness throughout 2017. Crucially, this will entail offering reciprocal access to China’s market for trade and investment. 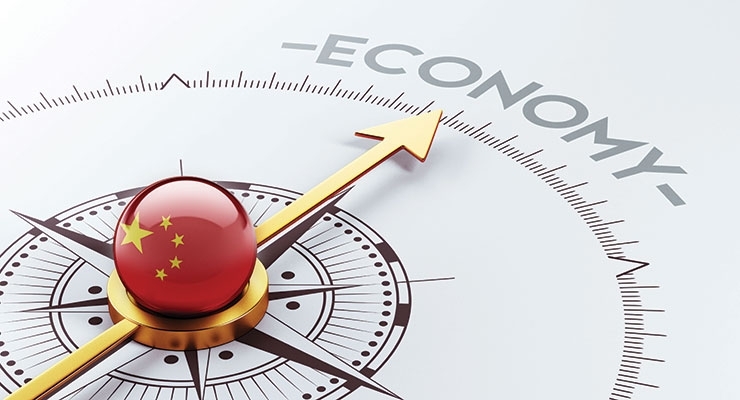 The Position Paper fully recognizes the importance of China’s plan to open up its economy and establish a level playing field for all business, as first outlined in State Council Document No. 5 in January 2017, and later elaborated upon in State Council Document No. 39. However, to date, implementation of proposed measures has been slow and uneven. Of greater concern is that in some industries the Chinese market may be closing to foreign business. For example, new restrictions on food imports, coming into effect on 1st October, can be expected to impede trade. Furthermore, the ongoing trend in multiple industries of huge state-owned enterprises being established through mergers poses a real threat to private businesses. Moving forward with rapid and comprehensive implementation of market-driven, economic reforms is very much in China’s own interest. Foreign investment into the country has already been declining year-on-year during the first half of 2017. The Position Paper outlines many practical measures that can be taken to establish China as a more attractive destination for investment. It also presents examples of non-reciprocal treatment, such as in the areas of strategic technologies and legal services, where Chinese investors currently enjoy far greater access to the European market than Europeans do in China. The fact that this is generating political tensions within the European Union (EU) increases the need for the EU and China to successfully complete their negotiations for a Comprehensive Agreement on Investment, preferably within the next 12 months. “The State Council documents provide a solid framework for China to open its markets to the outside world and attract more foreign investment, and throughout this year the authorities have been very clear about what needs to be done,” said European Chamber President Mats Harborn. “The European Chamber is fully prepared to help turn their commitments into tangible outcomes. We hope that the Chinese authorities will begin the process of implementing market-driven reforms and establishing a level playing field for all businesses once the 19th Party Congress has concluded,” the press release of the Chamber explained.